Scientific-based recommendations of the WHO to the UN on the therapeutic value and possible harms related to cannabis and cannabis products are likely to put an end to global cannabis prohibition. On 5-7 December, the Commission on Narcotic Drugs of the United Nations is holding the last session where inputs can be provided for a High-Level Session on drug policy in March 2019. The International Cannabis Policy Conference directly answers these requests, through the gathering of affected and interested parties to provide substantive contributions on future policies and regulations on cannabis. Several IACM Board Members will participate in the Conference: Michael Krawitz, Ilya Reznik, Ethan Russo and Franjo Grotenhermen. In an observational cross-over study with 31 patients suffering from fibromyalgia and low back pain a treatment with cannabis had a beneficial effect. Scientists of the Department of Orthopaedics in Petah Tikwa, Israel, presented their research in the journal Clinical and Experimental Rheumatology. The patients were screened, treated with 3 months of standardised analgesic therapy with opioids and duloxetine. Following 3 months of this therapy, the patients could opt for additional use of cannabis and were treated for a minimum of 6 months with cannabis. 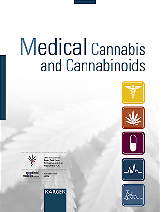 While standard treatment led to minor improvements as compared with baseline status, the addition of cannabis allowed a significantly higher improvement in all outcomes at 3 months after initiation of cannabis treatment and the improvement was maintained at 6 months. Authors concluded that their study demonstrates an advantage of medical cannabis in fibromyalgia patients with low back pain as compared to standard treatment. Thailand's legislature has officially proposed allowing the medical use of cannabis, making the country a potential trailblazer in Asia in legalizing what used to be regarded strictly as a dangerous drug. The National Legislative Assembly on 9 November submitted proposed amendments to the Health Ministry that would put cannabis into a legal category that would allow its possession and distribution under regulated conditions. Greece issued the first licences to private companies for growing medicinal cannabis. The country legalised cannabis for medical use last year and in March lifted a ban on growing and producing it. Two licences were granted on 19 November, and another 12 will be issued by the end of this year, the Economy and Development Ministry said. According to a bill by the Health Ministry prices of cannabis flowers available in pharmacies by a doctor’s prescription should be reduced. Currently prices vary between about 20 and 25 EURo per gram, which is not affordable by many patients and caused debates after implementation of a new law in March 2017. A hearing in the Health Committee of the German Bundestag on this issue and several other topics concerning non-cannabis matters was set to take place on 17 December. The endocannabinoid anandamide transforms half of the population of previously non-copulating rats into sexually active animals in a long-lasting manner. And this effect involves the activation of the CB1 receptor. In a study with diabetic rats, whose blood supply to the brain was reduced, which caused cognitive deficits, treatment with CBD improved memory performance. This neuroprotective effect was attributed to the reduction of nerve inflammation by CBD. In rats, which received 10% fructose in their drinking water for 12 weeks, THC (1.5 mg/kg per day) for the last 4 weeks reduced high levels of insulin and inflammation caused by fructose. In a study with 294 living kidney donors, of whom 31 were cannabis users, and 230 living kidney recipients, of whom 27 were cannabis kidney recipients, there was no difference in donor or recipient outcomes based upon donor cannabis use. There was no difference in function of the kidneys. 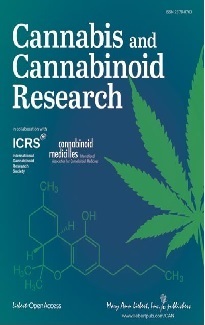 In a series of studies with activated microglia several substances (derivatives of coumarin), which exhibit antagonism at the cannabinoid receptor GPR Taste 55, were investigated. They showed anti-inflammatory effects. Authors propose that these compounds may be helpful in diseases with a neuroinflammatory background, such as Alzheimer’s disease and multiple sclerosis. Among others CBD is also an antagonist at the GPR55 receptor. In a study with 671 young adult past month cannabis users those with a permission to use medical cannabis (28% of participants) had more frequent cannabis use than users without such a permission. There was also an increased risk for negative consequences by cannabis use, selling cannabis and driving under the influence of cannabis. In a study with 86,245 adolescents from 21 countries with a mean age of 13.7 years, those who used cannabis had a greater likelihood for suicide attempts. Authors note that it is unclear, if this is a causal relationship. Adolescents with a higher suicide risk may more likely use cannabis to reduce depression, or cannabis may increase the risk for suicide. According to a representative survey of 8841 Australian adults investigations indicated that 50.4% of stimulant, 46.6% of opioid, 39% of sedative, 37.5% of alcohol, and 34.1% of cannabis users would develop a substance use disorder on those substances, within an estimated 14, 12, 8, 30, and 23 years after onset respectively. Pre-existing mental disorders were significantly associated with increased risk of developing a substance use disorder for alcohol, cannabis and stimulants. in a study with 143 subjects divided into 4 groups, of whom one group didn’t use cannabis or alcohol, one used alcohol only, one cannabis only, and the fourth used both cannabis and alcohol, both cannabis and alcohol use changed the immune system to promote airway inflammation. Cannabis use increased the production of interleukin-6, while alcohol increased the production of interleukin-8 and interleukin-10. In a study with 31 regular cannabis users and 41 nonusers the risk of failing certain tests relevant for driving were increased in cannabis users, including slower reaction times. Pulmonary hypertension leads to deleterious long-term effects on the function of the right heart ventricle. Researchers demonstrated, that mice without CB2 receptors presented with a worse outcome compared to normal mice.